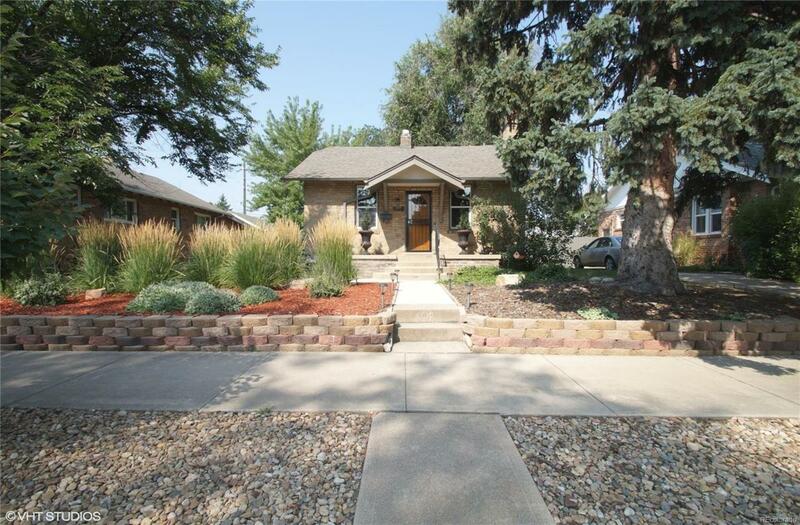 Beautiful, updated bungalow in the East Colfax neighborhood located between Lowry and Stapleton. This home has a lot to offer: oversized double car garage with 220V electrical, new roof, new exterior paint, newer furnace and hot water heater, ducted mini-split air conditioning system, updated bathrooms that include quartz and marble vanities, and plenty of charm with built-ins, wainscoting, and crown molding. It also boasts rare features for homes this age/size with a WALK-IN pantry in the spacious, updated kitchen and a WALK-IN closet in the master bedroom. Relax on the patio in the serene backyard or take a stroll two blocks to either QuinceEssential or Pablos Coffee Houses. Close to public transpiration, downtown Denver and Anschutz Medical Campus. This home is a MUST SEE! !